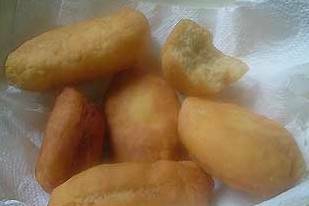 Traditional Jamaican recipes including Jamaican dishes, dessert and drinks. Mix all ingredients together, adding just enough cold water to make a stiff dough. Knead and divide into six portions. Roll each portion with your hands into a log shape and squeeze lightly to flatten. Heat oil in a pan and deep fry the festivals until golden brown, about 4 minutes each. Remove excess oil on kitchen towel before serving. Wash plantains and cut into thirds; leaving the skin on. Place the pieces in a medium pan with water; cover, and bring to a boil. Drain and peel the plantains and transfer to a large bowl. Mash to a smooth consistency and add the baking powder, salt, cinnamon, nutmeg and vanilla. Using your hands, form small, thin cakes about 2 1/2 inches in diameter. Heat oil in large skillet until very hot. 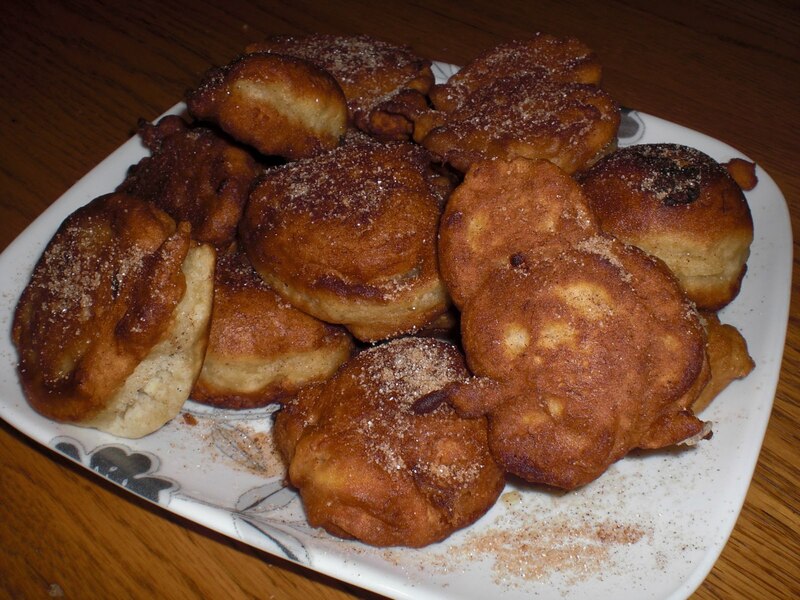 Fry the cakes until golden brown, about 2 to 3 minutes per side. Sprinkle with sugar and serve as a starter or dessert. Peel plantain by making 2 incisions on opposite sides of the plantain skin and then peel. Sliced lengthwise full size, but the smaller diagonal or half slices are easier to fry. 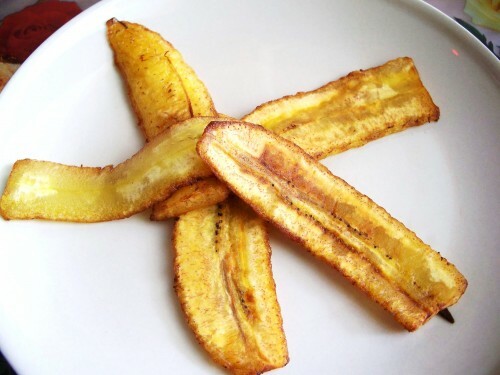 Heat enough oil to cover plantain over medium heat in a large frying pan and add the sliced plantains. Fry plantains until golden brown. Place fried plantains on a paper towel and dry off any excess oil. Sprinkle with cinnamon or nutmeg and vanilla to taste. Serve with an ice cold fruit punch drink (none alcohol). Wash the fish in a lime juice/water solution. Dry the fish with a paper hand towel or cloth to remove all the juice and water; this will stop any potential hot splashes from the hot oil in the skillet, when the fish in placed into the hot oil later on. Rub a pinch of salt and pepper on each piece of fish. Heat the oil in the skillet on high for 2 minutes or so, then turn the heat to medium. Carefully place fish into the oil in the skillet. Pan-fry fish until golden brown. During the frying process, do not move the fish around in the skillet because this will cause the pieces of fish to break into small pieces. Its Jamaican Brown Stew Fish you’re making, not fish salad. Discard the oil and replace with fresh oil. Sauté the onions, garlic and green bell peppers together. Cover the pot for 1 minute, while the vegetables sizzle. Next add water to the vegetables and allow the vegetables to cook for another five minutes. Now add the ginger root, mushroom soy sauce, scotch bonnet pepper, thyme and browning. Cover the pot and cook for 5 minutes, add salt to taste and then add fish to stew and simmer for 3 minutes. 1. Heat the butter and saute the onion until transparent. 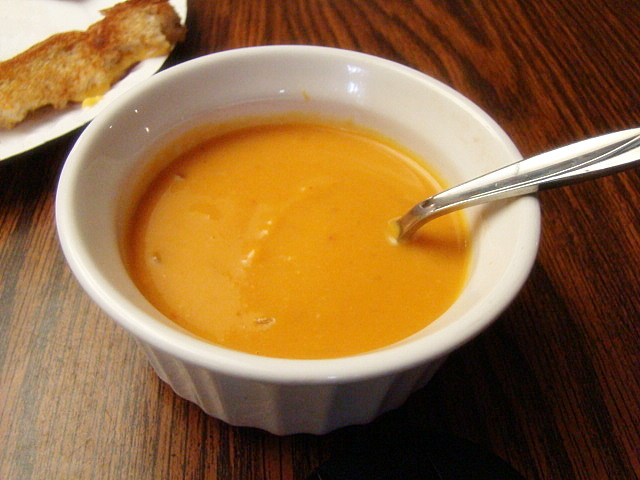 Put the onion, pumpkin, and chicken stock in a saucepan and simmer, covered, until the pumpkin is tender. 2. Cool slightly and put through a sieve or whirl for a few seconds in an electric blender. Return to saucepan. season with salt and pepper. Add the cream and Pickapeppa sauce.